Did you know that vaping while driving could land you with a £2,500 fine? If you didn’t, you’re not alone. Like smoking traditional cigarettes, there are some rules you need to be aware of if you don’t want to find yourself on the wrong side of the law. Is it illegal to drive and vape? It isn’t actually illegal to vape and drive. However, if you’re not in complete control of your car, by either driving one-handed or having your vision obscured by clouds of vapour, then you are leaving yourself open to being prosecuted for driving without due care and attention. This carries a penalty of up to £2,500, as well as between three and nine points on your driving licence. In serious cases, you could be disqualified from driving. Can I vape with children in the car? Surprisingly, yes. 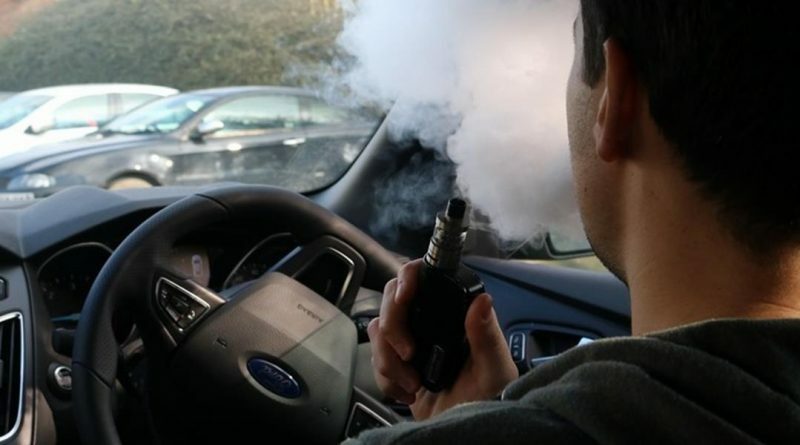 Whilst it’s against the law to smoke in a car, either as a driver or passenger, when there’s a child in the car, the law doesn’t currently extend to vaping. It also isn’t enforced on convertible cars, as long as the roof is down. To improve vaping safety while driving, ensure you’re choosing the best e-cigarette. You’ll want one with a good battery life that’s going to last the entire journey, as trying to charge the battery up in the car, or change it over, isn’t a safe option. It’s also important to pick a quality brand; although it isn’t as prevalent now, in the early days that e-cigarettes were released, some devices exploded. Obviously this is a huge safety risk if you’re driving! However, making sure you choose a great-quality e-cig from a reliable company such as VIP will ensure this doesn’t happen. Avoiding low-quality devices and incompatible chargers eliminates the risks almost entirely. As with all activities that take attention away from driving, the simple answer is to avoid vaping when you’re behind the wheel. However, we’re all human and will carry on doing things regardless, so here’s how to keep yourself as safe as possible. The main safety issue with vaping while driving is the cloud of smoke produced. This smoke could potentially block your view of the road, leading to dangerous driving conditions and open to prosecution. You’ll want to make sure your windows are open while you’re vaping, while also limiting the smoke produced by taking shorter inhales. Choosing a different type of e-liquid can also help with this; PG liquids, for example, tend to produce less smoke than the VG ones, which can help to improve visibility. Many vaping machines can be quite bulky, so ensure they’re secured in the vehicle – cup holders can work well. It might also be worth investigating hands-free devices that react to suction rather than relying on a button press. The bottom line is that ensuring you maintain maximum visibility, aren’t trying to disable and adjust the device while driving, and you remain in control of the vehicle at all times allows you to vape in some safety behind the wheel.